Employers get hundreds of CVs every week. That's why, if you want to stand out and have a chance of getting that job you really want, your CV has to be awesome. 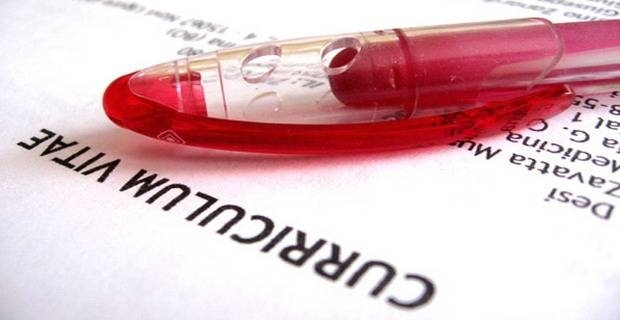 With so many tips on improving your CV though, how do you know which ones to follow? Easy. These. Use a Free Online CV Creator - There are some excellent free online CV creators, where all you have to do is key in your personal information and your CV will be formatted for you in printable condition. Why mess with formatting a CV to try to make it look professional if an online site can do it for you in seconds? Don't Use a Generic CV - As just about everyone nowadays has a computer and a printer, or at least access to them, there's no excuse for sending out generic CVs. Every CV you send should be written for the particular company you're sending it to, with the information you include targeted specifically to them. Make CV Sections Short and Bulleted - Split your CV into sections like Personal Details, Work Experience, Education and Hobbies, then use bullets within each section to make every entry in them stand out. Remember employers only glance at most CVs, so you want yours to be easy to glance at to pick out relevant information. Remember too, no CV should be longer than two pages, and one page is preferable. Use Action Verbs - If you don't want to look like the type of employee that sits around and waits to be told what to do, use action verbs in your CV. That includes verbs like organized, created, developed, negotiated, and presented. Make a future employer think they may have a go-getter on their hands, because that's what most employers want. Emphasise Skills a New Employer Will Want - If you're trying to move up in your field, emphasise skills a new employer might want and not skills from your prior jobs. For instance, if you were a secretary in your last job but want to be an office manager in the next one, stay away from talking about your filing skills and emphasise your meeting organization skills instead. Avoid Dates Where Possible - Even though employers aren't supposed to discriminate on the age of a candidate, unfortunately, some still do. That's why you should avoid putting in dates of things like when you were awarded your university degree. Also, if you have a career longer than 20 years, ignore the first few years and just talk about your job experience during the last 10-15 years. After all, the point of a CV is to get an interview. The employer doesn't need to know how old you are until you get there and, by that point, you had such a smashing interview, you have the job anyway.